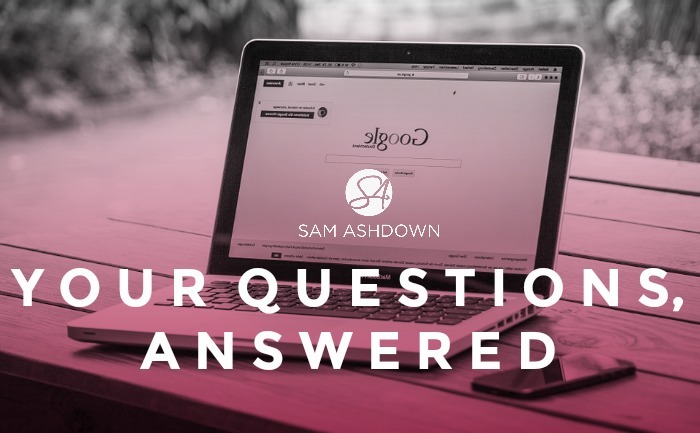 Every day I get questions from estate and letting agents, so I thought I’d put together a Q&A post for you, to answer some of the most popular ones, and link to previous blogposts that might help you. These questions come up time and time again, and maybe you’re struggling with these issues too? Q. How can I get through more doors? A. That’s a big question! But I’ll give you a brief response here: stop looking for market appraisals, and start looking for conversations. Or, stop seeking vendors, and start seeking responders. Responders are people who are ready and willing to respond to your marketing, and who represent the best conversation opportunities. We know that no one books a quality valuation appointment without first talking to you on the phone, so make that your objective, and not the market appraisal itself. Q. How can we increase our market share in a town dominated by corporates? A. Don’t try to outspend them; outsmart them. You’re a small, local independent, right? Local, expert, and utterly vested in your home town or area. You have personality and local credibility on your side, so use it in your marketing, on your website and everywhere that your local community will come into contact with your brand. Lead with your photo and name, rather than your logo and office, and you’ll beat the corporates, hands down. Q. What can we get better results from our canvassing? A. The biggest mistake agents make in their canvassing efforts, is that they try to go too far, too quick. Asking for a market appraisal from a cold canvassing leaflet is like trying to get to third base on a first date. Think baby steps, gaining their trust with each action you ask them to take. So if you’re sending out a canvassing leaflet, ask yourself what’s the easiest step you can ask someone to make, that simultaneously motivates the action, and gives you something valuable in return? In my recent Masterclass, I explained how an ebook can do this. For example, if you called your ebook, 10 Steps to Sell your Family Home in York in 30 Days, anyone who downloads your ebook is pretty much a fit for you – they have a family home, they live in York, and they are a motivated vendor. What more do you need to know?? So if your canvassing leaflet just offered a link to download your free ebook, you will find your response rate jumps up dramatically. Now at least you have their details and you know enough about them to customise your marketing messages. Q. Should we be sponsoring the local football team and school fairs? That depends on what you’re trying to achieve. If you’re hoping to book your diary solid with market appraisals from the campaign, then probably not. If you already have a full diary, and you’re looking to improve your conversion rate, then yes, local sponsorship can be a valuable asset. 4. What are the tactics you need to implement? Eg write an ebook; 50/50 every property sold; add a lead capture to your website. With my clients, I suggest a baseline spend of £100 per market appraisal. You may need to use a different figure, but I find it a good rule of thumb when you’re planning your marketing budget. A client recently told me he spends £1800 a year on radio advertising. At a target spend of £100 each, this should bring him 18 market appraisals. When he realised it had only brought him two, he cancelled the ad and diverted his spend to areas that would bring him greater returns. Q. I want 3 times the number of valuations – where should I start? The first place to look is your marketing ‘funnel’. In other words, work backwards from your goal of 3 valuations, to how many phone conversations you need. Of course, it depends on the kind of conversations you have and how you generate them. Let’s take the example of the ebook, and assume you have put in place an interesting series of automated emails, all designed to motivate a conversation. So instead of someone calling to book a valuation with you, you may find yourself chatting to a homeowner who hasn’t even decided if they want to move yet. That’s fine. The earlier in their decision-making process you get to speak to them, the more likely they are to consider you their front-runner when they do decide to sell. So let’s say you need 6 phone conversations to get 3 valuations. What needs to happen immediately before a phone call? Depending on the marketing system you have in place, I would suggest an email conversation, keeping it low risk for them, whilst you still have the opportunity to show them how helpful and expert you are. So maybe you need 12 email conversations. What needs to happen immediately before that? Well, you need them to give you their email address, in exchange for something valuable, like your ebook. See how it all works together? So you could find that you need 24 people to download your ebook, to get 12 email conversations, to achieve 6 phone calls, to generate 3 valuations. If you want to triple your valuations, you need a marketing system in place, so that you’re not doing the donkey work, day-in, day-out, to chase market appraisals. Get the right system in place, and it does the hard work for you. Q. How do I know if my website is working? What do you want it to do? If you want it to generate new valuation appointments, and no one is pressing that big red ‘book your free valuation’ button, then it’s probably not working. First, you need to decide what ‘working’ means. In other words, what is the purpose of your website? 1. I have a sign-up box, so that people can get my Supertips, right then and there on the page. On every page, in fact. 2. I have a video testimonial, right in the centre of the home page, so that you can see a real client, talking about his experience of working with me. 3. My weekly blogposts (like this one) are written to make you think, give you new ideas, and sometimes, create disruption and controversy. How do I know my website is working? By the number of subscribers I get each day, the number of social comments and shares I get on my content, and ultimately, the number of applications I get from estate and letting agents who want to work with me. So what do you want your website to do, and how are you ensuring it’s working? Once you have the answers to those questions, you’ll be able to see if your website too, is working. Q. What do I need to do to show up in a Google search? Provide good content that people want to read! Don’t try to rank for phrases like ‘estate agents York’, it’s just too competitive. You’ll never beat the likes of Rightmove and the corporates, so don’t try. And why would you want to rank for that phrase anyway? Do you really want to attract vendors who have to Google to find an estate agent? Instead, aim to rank for long form phrases, like, how to sell on the Underwood Estate. Or even something non-geographical, like how to decide on the right time to sell your house. I just put that search into Google and not a single estate agent came up on the first page. What an opportunity you have to change that! Try brainstorming questions with your team, with your family and even with clients. Make a list of all the questions, and then write a blogposts to answer each one. Then you’ll show up in a Google search for a question that positions you as an expert, and drives the right kind of traffic to your site. Q.What do you actually DO for agents, Sam?? Haha – best question of all! I help independent estate and letting agents achieve all of the above! I show them how to create and implement the right marketing system for them, so that new enquiries from quality vendors and landlords are generated without my clients having to do all the hard work themselves, every week. I do this in my signature course, the Add £100k Programme. It’s not cheap, but it is the very best marketing programme available to UK agents right now. Some of my clients have had extraordinary results, and have gone on to work with me on a long-term basis. Want to see if my programme could work for you? 2. On the call, I’ll ask you some questions about your business, and take a look at your online marketing, so I can tell you what changes you could make right away to improve your results. Previous post The Add £100k Challenge – are you in?